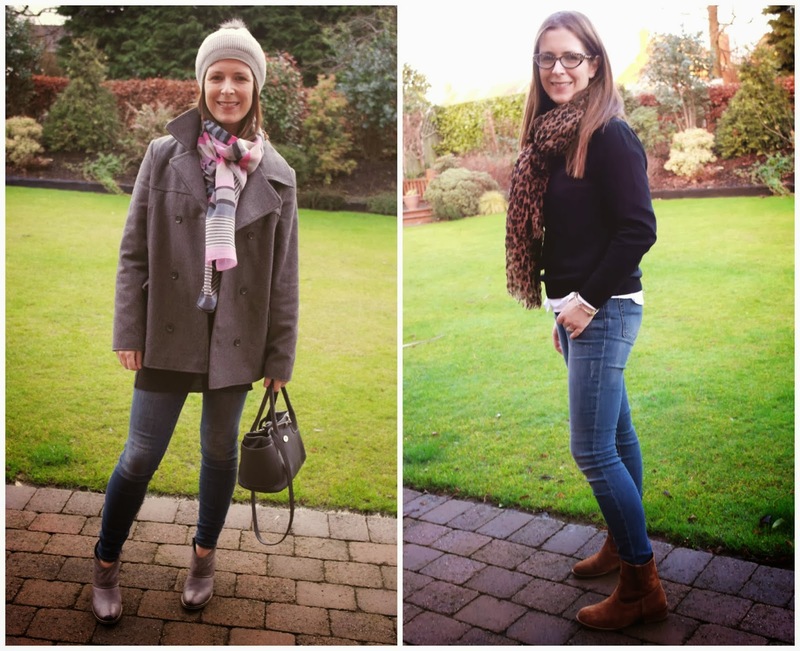 The last item in my January Style Challenge is not really a big reveal as I've already worn them loads on the blog, Instagram & Avenue 57 over the past few weeks. But there was a reason for that - I wanted to show how they've earned their place this month. 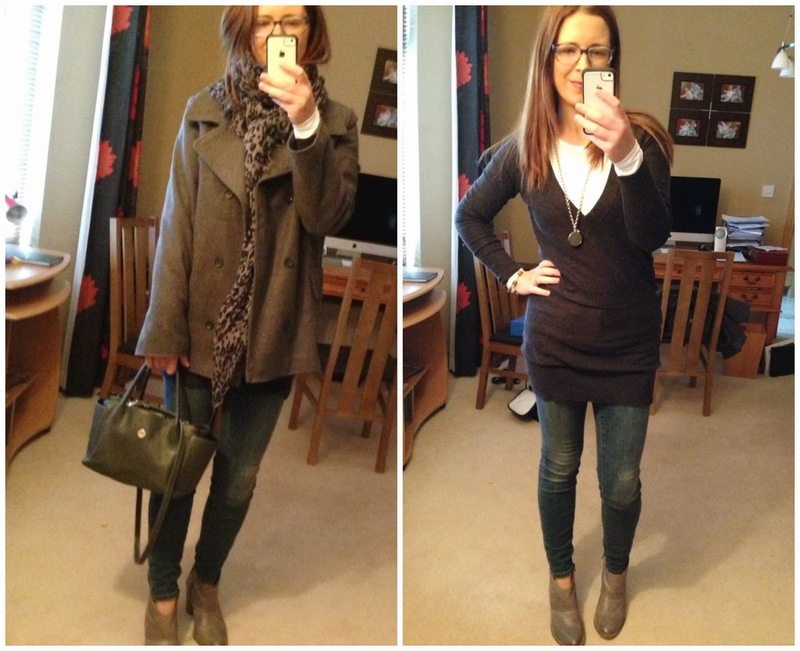 You see, I've loved wearing my distressed straight cuts from Maison Scotch and my boyfriend jeans but I was on the lookout for a pair of proper skinnies in a slightly distressed wash - to work my existing wardrobe a bit more and to dress down some of my looks - covering both of my 2014 style resolutions. 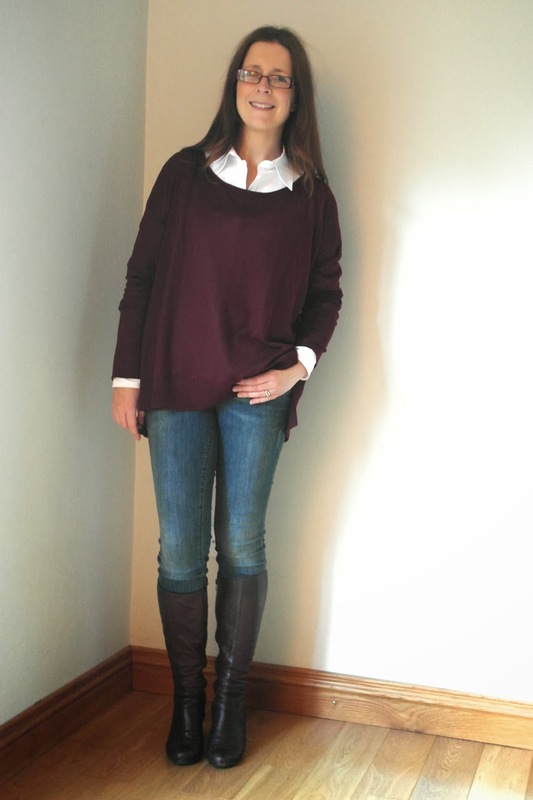 My perfect distressed skinnies are from Gap and are called the 'Always Skinny' and I picked them up on my recent visit to the Outlets at Banbridge. I expect they are available in most Gap outlet stores as they had tons of them in Banbridge. I bought them in a US6/UK10 Size 28 and they definitely come up on the big side as I'm not really a 10 in jeans. Cost-wise, they were £22 with a promotion that day. Next, a variation on top left - worn for some grammar school visits for my son. Feeling old so it was nice to wear some hip jeans! 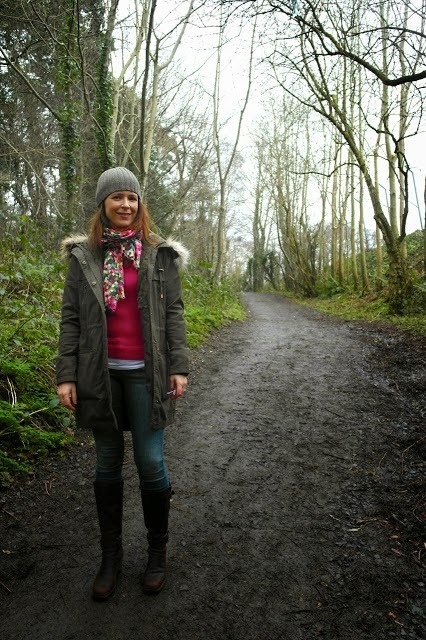 And finally, with my pink Warehouse coat, scarf from the shop and the brown suede boots that I dyed ages ago. These jeans are the first pair that have really worked with these boots. They also featured on Saturday's post with my grey cocoon cardigan and I know they are going to continue work hard in my wardrobe. As well as the colour, I'm loving how tight they are at the ankle and the fact that the length is perfect, requiring no adjustments when worn with boots. And that's it - with 5 days to go, I've completed my January challenge, which in fairness, wasn't that tricky as it involved buying stuff! As for Frugal February...now that's another story... I've put a date in my diary for May to look back on these 5 items to see if they really did earn their keep...was it worth resisting everything else on those sale rails? Because it wasn't easy in a few shops! As always, link up with any of your recent sale blog post OR new jeans blog posts please - last chance this month! 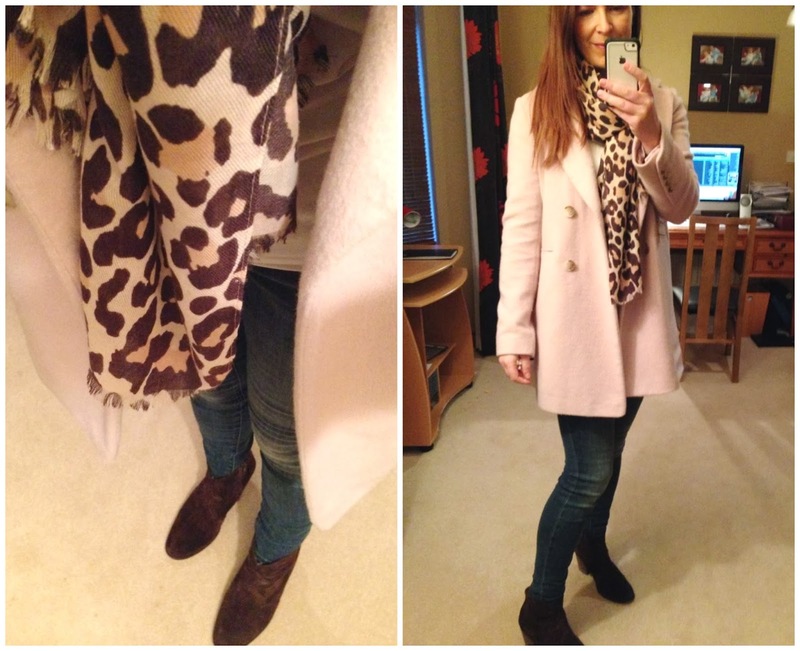 Those jeans are just fab, I love them with the pink coat and scarf. I hate buying jeans at the moment as I seem to be in between sizes, so the ones I buy always need a belt and sag on the bum! Great jeans! Have done always skinny in the dark blue denim and they are great so might just invest in a pair of these too!! Thanks Avril! Perfect jeans - they remind me of a pair I bought in Gap whilst in America last year. I love them! Like Donna, I love your burgundy top as well. Those jeans are fab ... love the fact that the length is right. Gap is one place where I find jeans that fit - which is a joy as I truly detest shopping for jeans! Good luck wtih Frugal Feb - almost (not quite) tempted to join you! !